Who ever thought that the disfigured Infected from the video game The Last of Us and their fungal explosions could be rather lovely? These artists take on the game's visuals and find the beauty in the post-apocalypse. 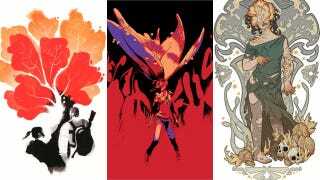 Gallery Nucleus in Alhambra, Calif., is currently hosting A Tribute to Naughty Dog: 30th Anniversary, an art show celebrating the video game studio behind Crash Bandicoot, Jak and Daxter, Uncharted, and The Last of Us. Not surprisingly, The Last of Us proved particularly inspiring to the participating artists, and you can see some of their work below. Head over to Gallery Nucleus to see more of the artwork and purchase available pieces.